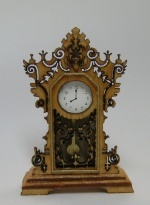 Incredibly elaborate tall clock. 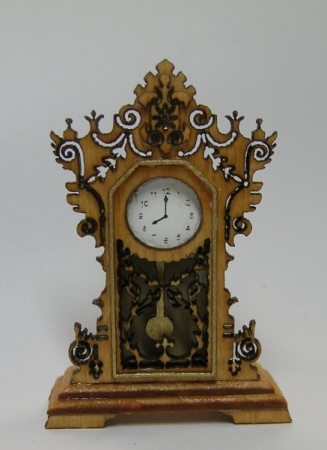 Victorians referred to these as kitchen clocks, but I can't imagine something so very ornate next to the frying pan Delicate fretwork abounds, and delicately laser etched face is very readable. A wonderful piece.Easy to assemble. You will need Xacto, glue and finish of your choice.